Years 1 and 2 are busy years for our children. Year 1 children complete National Phonics tests where they are assessed on their ability to read a range of real and nonsense words using their phonic knowledge. In Year 2 children complete the KS1 National Curriculum tests (SATs) in English and Maths, so we spend time throughout the year preparing the children for these tests as much as possible. Our children work extremely hard, but we keep learning fun, so our children are usually very confident by the time they take their SATs in May and we are starting to see excellent progress in our results. However, whilst excellent progress in English and Maths is important, we also want to develop the whole child, so we strive to develop skills across the curriculum and promote emotional intelligence too. Throughout your child’s time in Class 2, we will cover a range of text types/ genres of writing, including: stories, recounts, non-chronological reports and poems. We will also focus on developing your child’s understanding of English grammar, punctuation and spelling to support the children as they prepare for their Year 2 SATs. Our class will continue to have weekly spellings to practise at home, which will be tested on Fridays. Each child will be given a reading book to read at home each night and then read to an adult in school. In guided reading we will be concentrating on improving our understanding of a range of different genres, by reading a variety of fiction and non-fiction texts and answering questions on topics such as: the author’s use of language, text structure and authors’ viewpoints. During Year 1 and 2 we spend a lot of time learning the basics. This includes mental recall of facts such as times tables and their corresponding division facts, doubles and halves and number bonds. In addition to this, we will also be covering topics such as addition, subtraction, multiplication and division, shape, position and measurement. Children will be given numeracy homework once a week to develop times tables skills. Our school year is divided into 3 terms. 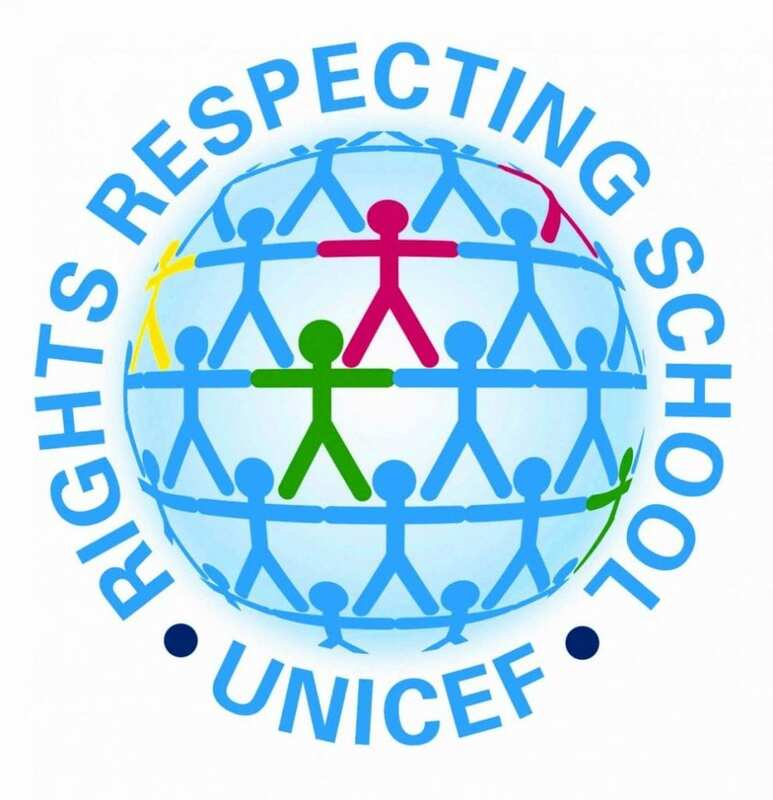 Each term we have a range of different topics to cover in the rest of the curriculum areas, and we will share these with you in the class newsletter which we circulate each term. 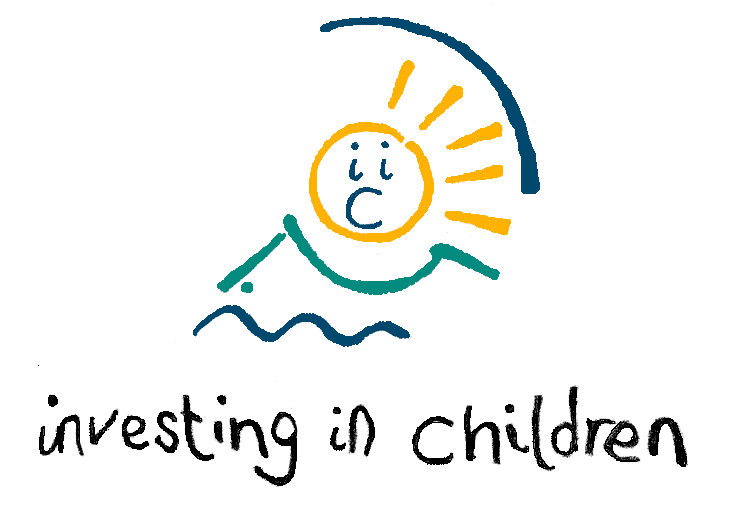 We aim to develop inquisitive and independent learners, and encourage children to find things out for themselves. 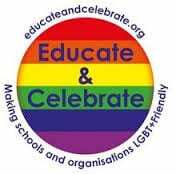 Our other curriculum subjects are: History, Geography, Design and Technology, Art, Computing, PSHCE, R.E, P.E, Music and Science. For further information and more detailed medium term plans please contact the school. In class 2 we had a think of what we used money for and why it was important. Children came up with some great ideas. 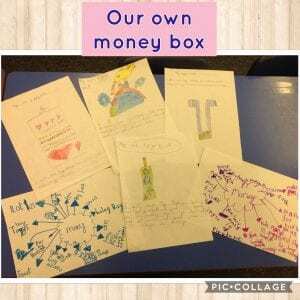 We then designed our own money box and wrote what we would save our money for, children came up with some good ideas about what they would spend their savings on. 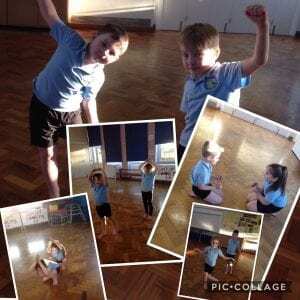 Today class 2 have been creating their own dance routine on our topic ‘Up, up and away’. In pairs they used their imagination to perform their dance. 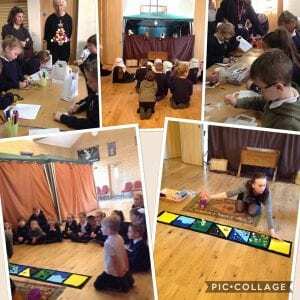 We have had a fantastic morning at the Methodist Church on Lydia Street. We listened to the story of when God created the world and then found out about the present God had given us on the first ever Christmas. We learnt about the Christmas Story through role play. At the end we discussed what we had learnt over juice and biscuits before we went to do some craft activities. Parents Evening is next Wednesday the first appointment is at 3:20 and the last appointment is at 5:20. If you would like to make an appointment, please see myself or Mrs Featherstone or you can message me on here. We have been looking at colours and textures in our Art lessons. 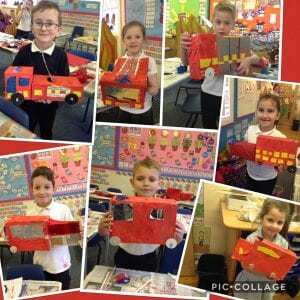 First we had to mix colours to create fire colours, we then all sat round and found some great ways of making different textures and found the ones suitable for our fire paintings. 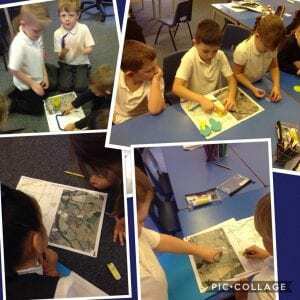 In geography we have been looking at our local area. We found out where we lived in the U.K. and then discussed what we have in our local area. We discussed human features and physical features. We made these features out of play dough and added them to the map. We have been writing instructions in class 2 this half term. 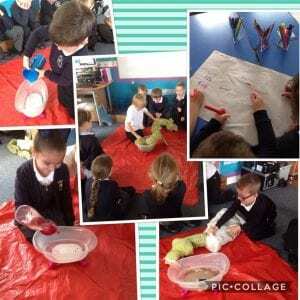 We came back into school and found our class dragon lying on the carpet and he was really dirty so we decided that we needed to wash him, we though of a list of things we might of need to wash him and then thought about each step. 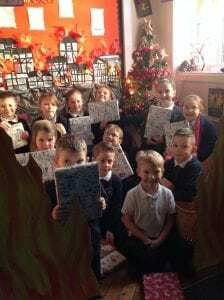 We produced some fantastic instructions! 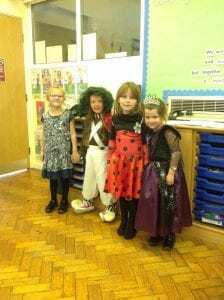 We had some fantastic costumes in class 2! Please listen to your child read each book sent home twice. This is to ensure your child has a good understanding of the whole story, can read fluently and can answer a variety of questions which are on a sheet that we have included in their reading folder. Please note books will not be changed on a Friday.